Over the weekend of 20-22 July, heavy rain poured on the streets of Munich. Which did not prevent 20,000 people to demonstrate against xenophobia at Königsplatz, also went more or less unnotced by the 150 participants of the BlockchainedMobility hackathon who met to create blockchain-based mobility solutions. 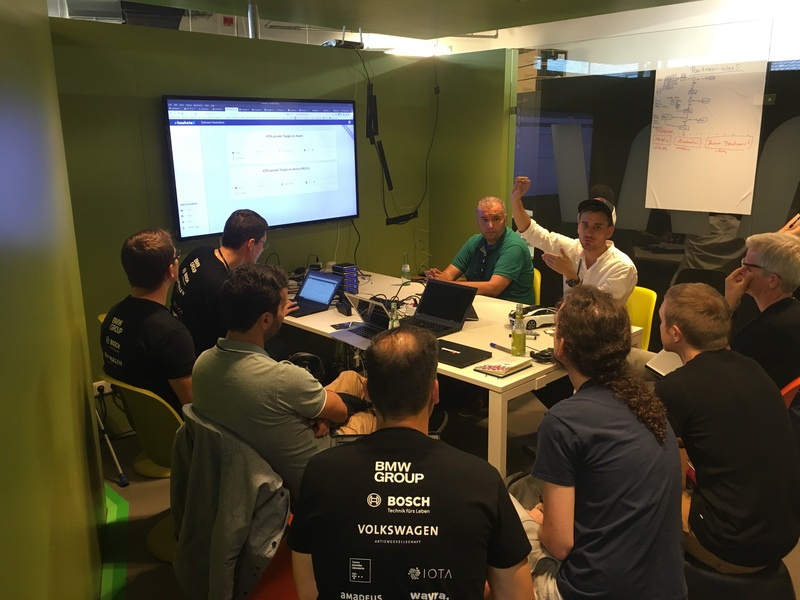 Hacker teams of leading European mobility players, such as BMW, Volkswagen Group, Bosch, Deutsche Bahn, Deutsche Telekom, Amadeus, and others mixed with freelance developers, designers and business experts to work on IOTA and Ethereum. 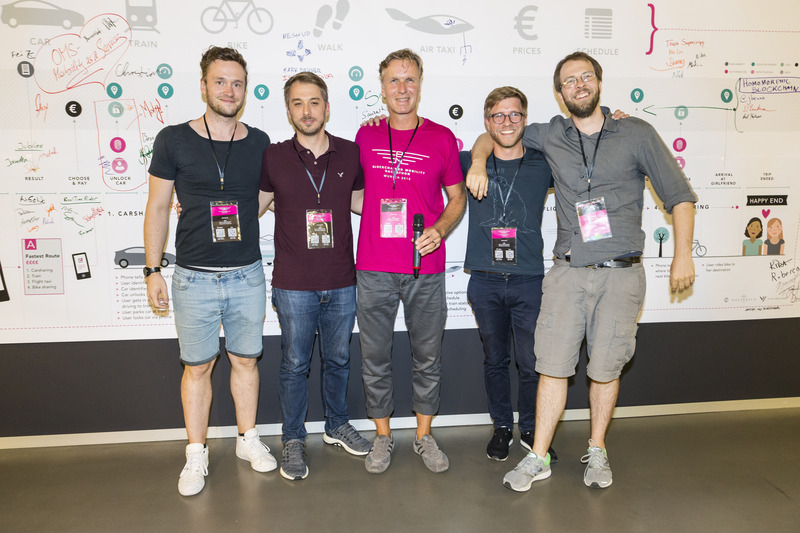 On Sunday afternoon, the jury saw 18 project teams presenting a broad variety of mobility solutions, from specific applications, such as a EV charging station finder, to more generic solutions like a mobility API to match offerings of mobility providers with the needs of the end user. 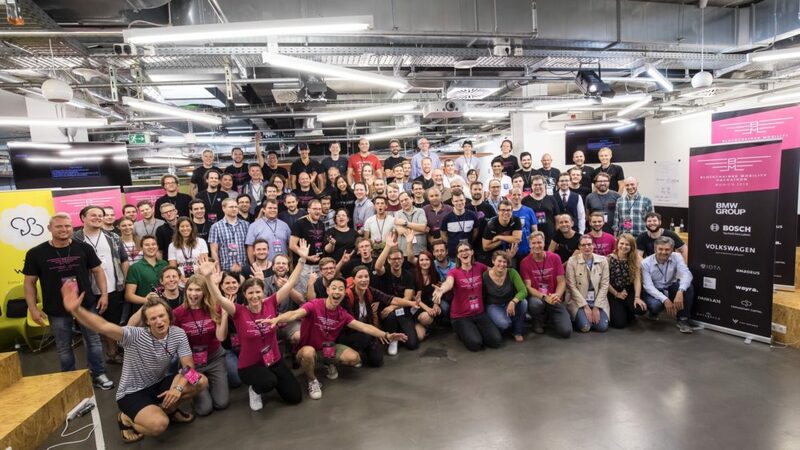 The hackathon started on Friday with a keynote by the Minister of State for Digital, Media and Europe, Georg Eisenreich, who highlighted the importance for collaboration of the State of Bavaria with on the one hand corporations, such as the hackathon‘s sponsors, on the other hand with the technology - or more specifically - the blockchain community. Minister Eisenreich emphasised the role of the State of Bavaria in providing a sound economical framework for blockchain startups and projects. 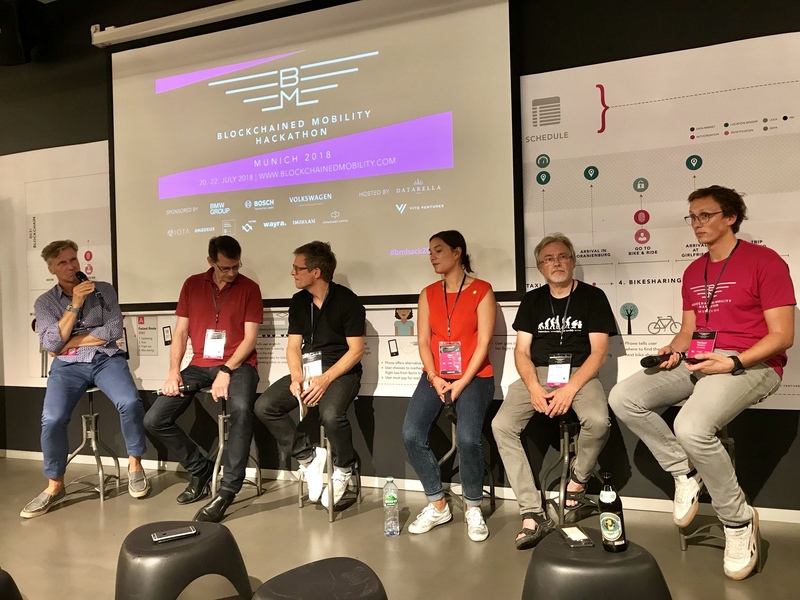 He encouraged the participants to be creative and dare to found companies in order to foster Bavaria‘s and Europe‘s competitive advantage in the area of blockchain. After the keynote, the representatives of the main sponsors Dominik Pietsch (BMW), Klaus Schaaf (Volkswagen Group), Peter Busch (Bosch), and Alisa Maas (IOTA) discussed the state of mobility and the expectations of the mobility players for the hackathon with Herbert Mangesius (Vito Ventures) and Michael Reuter (Datarella). At BMW, Volkswagen Group and Bosch, blockchain has obtained an important role within the areas of technology to work on. 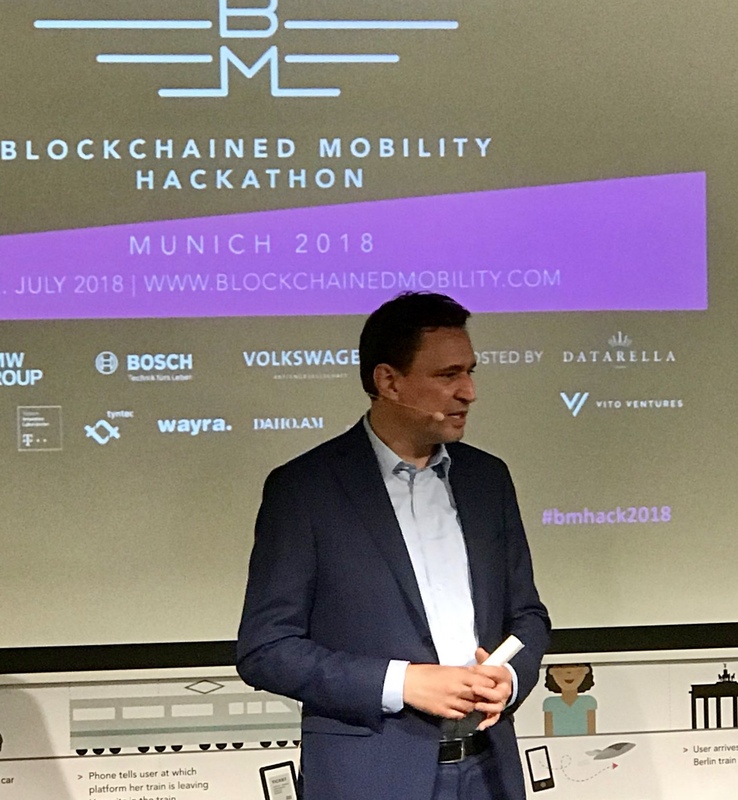 Dominik Pietsch, Klaus Schaaf and Peter Busch all agreed upon the importance their companies put in blockchain as a foundational layer for mobility solutions. Particularly in regard to the complex regulatory requirements for large corporations in any case of collaboration, blockchain serves as a neutral technological layer that allows for a joint use of mobility data provided by different players within the ecosystem. During Saturday and Sunday, hackers worked highly concentrated and steadily to create their applications they had to present towards the jury. Breakout sessions by the sponsor teams and Yoga interludes gave variety in the workflows. Some teams, e.g. Bosch and Deutsche Telekom, provided not only APIs but sensor-driven hardware the hackers could integrate into their projects. We will publish short interviews with each project team over the next few days. After the jury‘s decision, the hacker crowd gathered for a few more hours to get themselves the last drinks and discuss next steps: since everybody enjoyed this weekend and we received so much positive feedback from the community, we have already started thinking about how to build upon the success of the BlockchainedMobility hackathon. Hopefully we - and new sponsors and participants - will meet again, soon!